We've all had that moment where we realize we should've paid more attention to the fine details in the various contracts we sign. For most of us, it results in a slight feeling of embarrassment, and maybe a small fee. Friends, Kohei Uchimura is not most of us. Not just because he's a gymnast for the Japanese Olympic team, but because his awkward moment involved a 500,000 yen (about $5,000/£3,700) cell phone bill thanks to playing Pokemon Go. 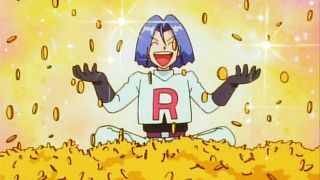 Uchimura doesn't have an addiction PokeCoins (the in-game currency that can be bought for real money) or anything, he simply didn't realize that his cell phone plan charged so much for overseas usage. Killing time at the Olympic Games in Rio ended up costing the athlete quite the hefty sum. Or it would have, if his carrier hadn't let him off the hook. According to Kyodo News, Uchimura's provider cut him a break after he explained the situation, and dropped his 500,000 yen bill to 3,000 yen (about $30/£22). I'm guessing that being an Olympian representing the country on the world stage helped, so don't go thinking you can just jet around the world hunting for Pokemon and think Verizon or AT&T will let bygones be bygones.